I can sympathize with the struggle of trying to eat healthy while working night shifts- I worked 12 hour rotating shifts at a hospital for a stretch and it most certainly did not agree with me. Without fail, there were fresh, deep-fried, sugar-laden options ushered in during the middle of the night when my stomach was growling and my resistance was lowest. There were generous coworkers who would do middle-of-the-night coffee runs and deliver my sugary, syrupy macchiato at 3 a.m. Not to mention the home-baking that grateful patients would have dropped off earlier. Every. Single. Shift. 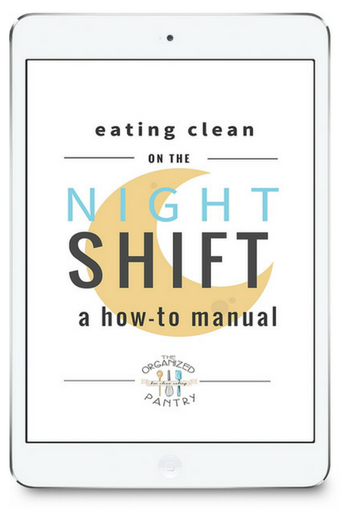 The erratic schedule of shift work can wreak havoc on healthy eating. Not only does it destroy the natural rhythm of meal times, but it can also result in sugar and carb cravings simply to stay awake through the night. The lack of routine can frustrate good intentions. If you work in a shift work job where breaks are either hard-to-find or often interrupted (I’m looking at you, nurses! ), then grazing is the best way to stay fuelled. If you don’t have healthy snacks prepared, it’s too easy to start grazing on muffins, donuts or the pizza your coworker is sharing. Those kind of indulgences start to take at toll after a few weeks, months, or years of shift work. 1. Plan ahead: Before you disappear into the relentless grind of back-to-back night shifts, take an hour or two to get prepared. 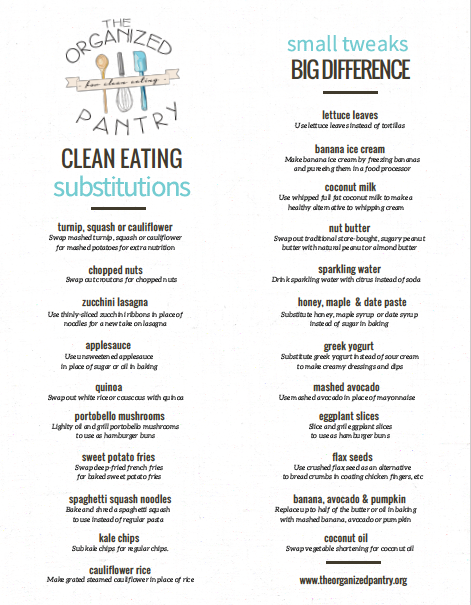 Wash fruit, chop veggies, whip up some smoothies (store them in the freezer), cook some hard-boiled eggs, etc. Your prep work will pay off big time. -Carro, celery and red pepper sticks with hummus. -Bowl of plain yogurt with paleo granola and raspberries. -Protein-packed muffins made with almond meal. -Quinoa salad with chopped fresh veggies and vinaigrette. –Spinach salad with quinoa, feta and beets. 3. Stay hydrated! Staying hydrated is a simple way to keep you feeling both awake and full. -Get a couple good refillable water bottles and fill them up- add some lemon wedges and mint leaves for a refreshing drink. -Invest in a few high-quality teas to stash at work or in your bag. This will give you a “treat” when you’re tempted to order a sugary hot drink to stay awake. And if you’re like me, I get really cold in the middle of the night and need something hot to warm me up. -Make a quick berry smoothie or green smoothie and stash it in the fridge until you’re ready for it. This is easy to keep at your work station and will fill you up without causing a sugar crash. -Bring a bottle of sparkling water with you for variety. -Switch from caffeine to green tea. 5. Use freezer bag slow cooker meals when you go home. 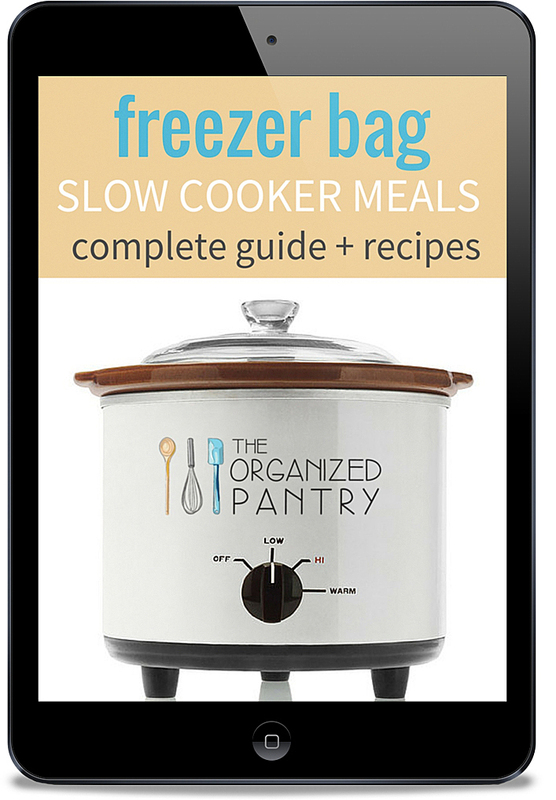 Prepare some freezer bag slow cooker meals on your days off. Put them into the slow cooker when you get home in the morning after your shift. Go to bed, and supper will be ready for you when you wake up. Pack up some leftovers to bring to work for a midnight dinner. Have you ever worked night shifts? What worked well for you? Please add to the comments below! P.S. This is one of the most popular posts on my blog so I’ve written an entire e-book on this subject! Get your copy here.